Philadelphia Actor, comedian Bill Cosby has spoken up about the Trayvon Martin case. He says that we should be talking about race, but rather gun control. It doesn't solve anything to question whether suspect George Zimmerman is a racist, instead, we should be asking how he got a gun and who taught him how to use it. During Sunday's Masses today pastors in Northwest Philadelphia and Chester County told their congregations of the Archdiocesan plans to shut down and merge their parishes. Specifically they were in Germantown, Manayunk, and Coatesville. The parishes marked for closing have seen sharp declines in membership, Mass attendance and baptisms, among other signs of diminished vitality such as population projections, parish finances, and the physical state of its buildings. On Friday night at SmokeEaters Pub on Frankford Ave in the Northeast, a Benefit to support the families of the two fallen firefighters was being held. Donations were being collected, the bartenders were offering their tips, and a raffle was going to be held for three gift baskets donated from local businesses. All the money collected would go directly to the families of Daniel Sweeney and Robert Neary. Junior Guard Dominic Cheek has decided to skip his senior year at Villanova and enter the 2012 NBA draft. "I appreciate all the help I have gotten from my teammates, coaches and friends during my time at Villanova," said Cheek in a statement. "At this point in my life, I feel this is the best decision for me and my family. I am excited to get started with the process of pursuing my dream of playing in the NBA." Hundreds of firefighters gathered in Northeast Philadelphia today to say goodbye to Lt. Robert Neary and FF Daniel sweeney. Both firefighters lost his life while fighting a five-alarm warehouse blaze in Kensington on Monday. Firefighters from Texas to Canada came to pay respects to these fallen heroes. Neary, 59, and Daniel Sweeney, 25, were killed by a wall and roof collapse. 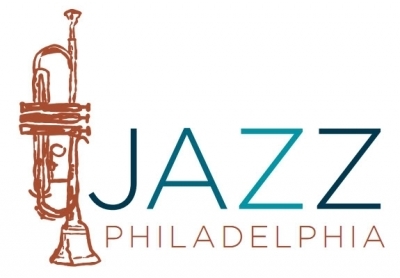 April is Jazz Appreciation Month and Philadelphia has been celebrating all month long! 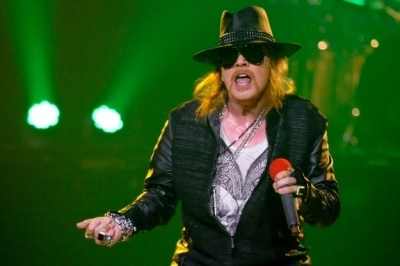 Philadelphia has a rich history in Jazz music with artists such as Ethel Waters, John Coltrane, Billie Holiday, Joe Venuti, Eddie Lang, Stan Getz, Bessie Smith, the Heath Brothers, Dizzie Gillespie, Sun Ra, Charlie Parker, McCoy Tyner, and Grover Washington Jr.
Axl Rose, 50, has officially declined his invitation to this year's ceremony and his inclusion as an inductee to the Rock and Roll Hall of Fame all together as the lead singer of Guns N' Roses. Zimmerman to be Charged, PA State Flags Fly for Kensington Fire, Who's to Blame?